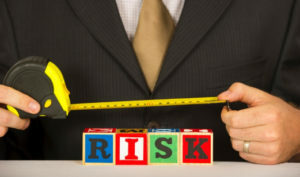 How to Protect Small Businesses from Potential Legal Risks? When it comes to small businesses, it is often difficult to decide whether you should go for a lawyer right in the beginning or wait till you are in an actual legal and financial mess before you try to find one to save yourself. How do you not get yourself sued? As a business owner it is your responsibility to keep your business running smoothly. So here are some tips for small business owners and new entrepreneurs to protect themselves and their businesses from a future legal trouble. Don’t operate the business as sole proprietorship. Separate yourself from the business, because in an event where your company is sued, the owner’s personal assets may also be attacked in the court of law. The best possible solution is to establish a trust that owns the business. A trust is a legal entity that files its own tax returns, and can own property, businesses and other assets. In most cases, when a company is under a legal threat, only the assets owned by the trust can be attached in a court of law. This separates your company’s financial resources from your own. Obtain liability insurance. In case a customer slips and falls in your place of business, he/she may accuse the owner of making some error and not living up to the contract, sometimes even putting the blame of his/her own negligence on you and your business. The insurance will protect you and your company against any lawsuit in situations like an accident, but doesn’t cover you for fraudulent, reckless and criminal activities. Make sure you consult a licensed attorney to stay away from the local insurance scams. Protect your files and computers. With rising technological speed, there are a lot of hackers out on loose, who are ready to grab your data. Have updated antivirus activated on your systems, have proper employ backups, make an account with DMCA (which protects your web content, takes down content thieves on the web), use IP protection (protects trademarks, copyrights and patents), set up Google alerts (this will even update where your brand is being mentioned), and other security precautions. File for trademarks and apply for a provisional patent for your brand as soon as possible. While filing for trademarks comes easy and cheap a patent costs way too much, so you can get a temporary provisional patent during the first year, when you are still in the process of shopping around your idea and doing experiments. Prefer Non-Disclosure Agreements- This protects your idea before revealing it to other workers and associates. But some of your investors or clients may not agree to it, so instead of requiring an official signature, you may want to simply put it through a printed confidentiality document.